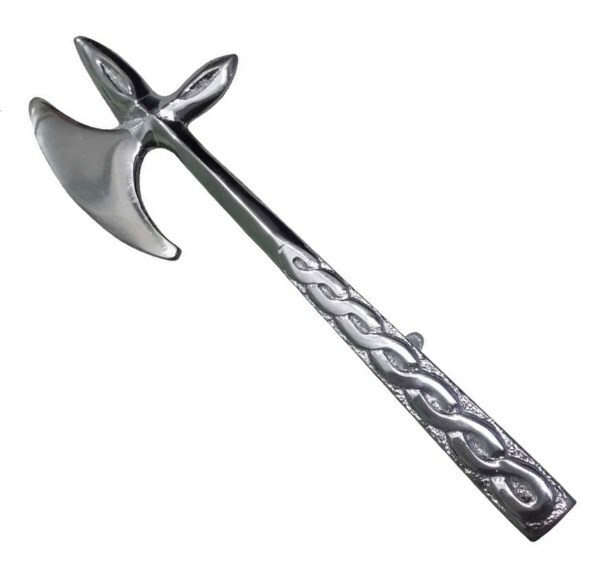 Axe kilt pin with an engraved Celtic knotwork. Perfect to set off your kilt. + Measures approx 101mm long (4 in).